U.S. Coast Guard certified for 6 Passengers ! 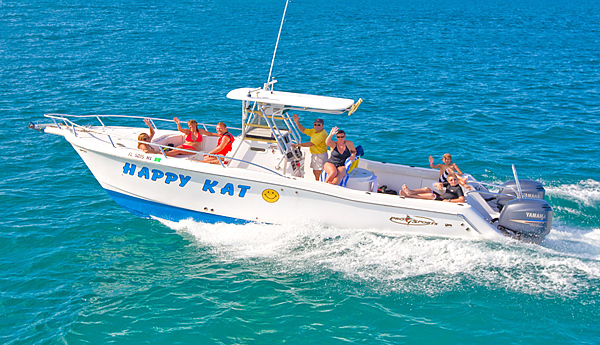 Sundiver's brand new 30 foot Pro Kat high powered catamaran ideal for snorkeling and comfortable cruising around the islands. Explore several living coral reefs or have lunch by water at one of our many excellent restaurants here in the Upper Keys. Design your own private charter with one of our experienced, friendly and knowledgeable captains and then enjoy the perfect day in the "Fabulous" Florida Keys. We can take up to 6 passengers. The trip includes snorkel gear and ice cold water. We also provide a cooler with ice so you can bring your own personal items to put inside our cooler. 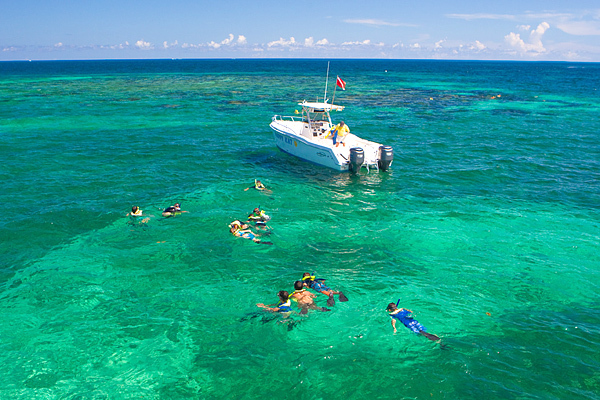 The rate for this (3 hour) custom snorkel tour is $475 + tax and $100 for each additional hour. 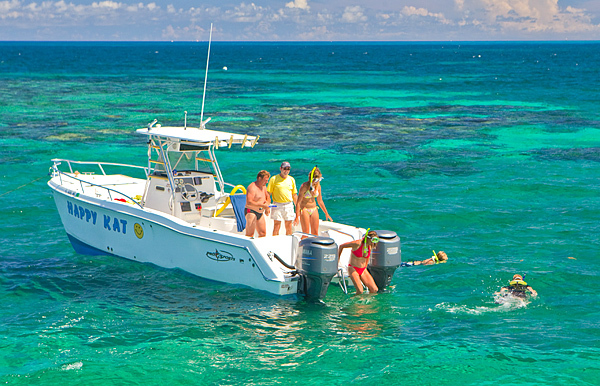 Ask about our custom snorkel excursions !